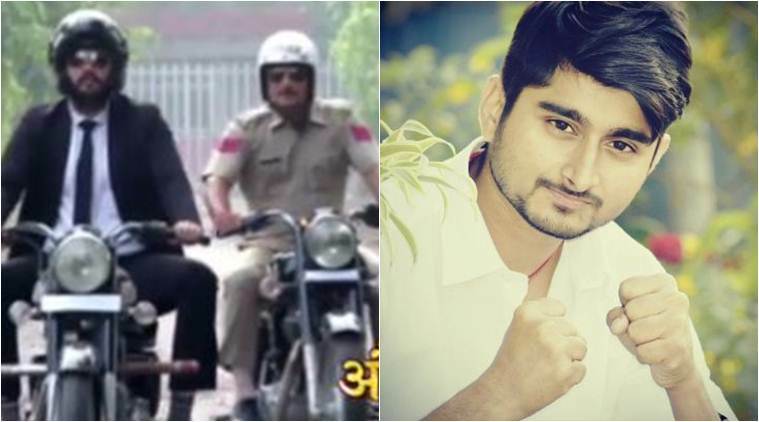 Bigg Boss 12 contestants: Singer Deepak Thakur, lawyer Romil Chaudhary and police officer Nirmal Singh among others will be seen on Bigg Boss 12. Bigg Boss 12 will air from September 16. While fans wait for Bigg Boss 12 to go on air this Sunday, Colors recently shared a sneak peek of some contestants. The Salman Khan hosted reality show will welcome ‘vichitra jodis’ and singletons this year. The channel has uploaded videos introducing the first two pairs of Bigg Boss 12. The first jodi is Bihar’s popular singer Deepak Thakur and his fan. 23-year-old Deepak had voiced the hit song Moora from Gangs of Wasseypur. And giving him company will be his biggest fan, whose name hasn’t been revealed. Deepak sang the Huma Qureshi-Nawazuddin Siddique song at the age of 14. Residing in Muzaffarpur, he is the first and only singer in a family of farmers. While his singing career did not take off as he expected, a chance conversation with Anurag Kashyap got him another song in Mukkabaaz. On the other hand, Deepak’s fan, who looks completely besotted by the singer, has a personality like last season’s Jyoti Kumari. The other jodi revealed by the channel includes a policeman and a lawyer. Entering in style on motorbikes, the two introduce each other. Romil Chaudhary, who is a lawyer in New Delhi, first talks about his friend, police officer Nirmal Singh. He shares that Nirmal is nice with people but doesn’t spare criminals. Romil also shares that his friend gets angry really soon. Nirmal, on his part, reveals that the lawyer is street-smart and can even take the judge on his side. Meet the police and lawyer jodi, Nirmal and Romil. Coming to the other confirmed contestants, Sasural Simar Ka fame Dipika Kakar, devotional singer Anup Jalota, television actors Srishty Rode, Nehha Pendse and controversial cricketer Sreesanth have signed the dotted lines. Apart from launching Bigg Boss 12 earlier in September, the makers have also shifted the timings. Unlike previous seasons, the reality show will now air every day at 9 pm. Bigg Boss 12 will premiere on September 16.